To Raise the Floor or Not to Raise the Floor? That is the Data Center Question. 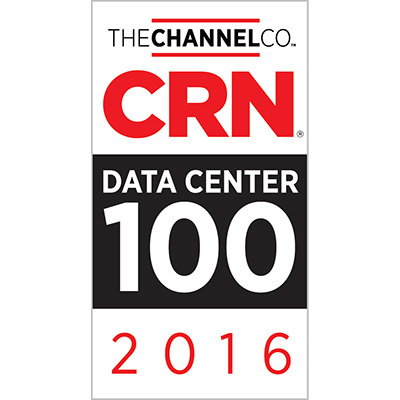 Data center design is a constantly fluctuating practice. It can be tough to forecast demand, much less design a facility that is adaptable to the best practices and advanced technology 10 years from now. One of the latest facets to reverse “the way things are” is raised vs. slab floors. This floor decision ripples across much of the rest of your data center design, with implications for cabling, air plenums, security, grounding, and utility pipes. In the past, raised floors were necessary and useful. Today the point is argued, though there isn’t any harm in installing raised floors outside of initial cost. 1547 Critical Systems Realty has designed facilities with both raised and slab floors; Orangeburg, NY, was retrofit with raised floors, while Cheyenne, WY was built-to-suit with slab floors to meet a client’s design specifications for cooling. In a raised floor design, you must incur an additional initial cost, which can run into the thousands per square foot, in order to raise the floor at least three feet. This raised space has removable panels placed on top, which are easy to modify at later dates in order to adjust floor layouts and cooling routes. By using blank, solid, and perforated panels, as well as air plenums beneath the tiles, engineers can design highly efficient cooling and aisle containment. The empty space underneath the floor is also used for cable trays and routing, keeping them tidy and out of the way. A copper grounding grid runs underneath the floor throughout the building, and utility pipes for water systems can also be placed here. However, a raised floor is not the necessity it once was. Overhead cable trays are easier to access for modifications, and air chillers that are located closer to IT equipment, combined with new containment models, make directing air easier to do without under-floor channels. 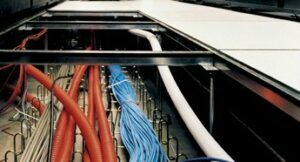 As server racks grow more dense, they require additional power, so the cabling running underneath the floor pushes the floor ever higher, along with costs. For some certifications, like the TIA standard, raised floors are required. However, more organizations are recognizing that uptime, redundancy, and connectivity are more vital. While the floor design has an impact on these factors, it isn’t an enormous contributing factor. That said, you’ll need to decide early on in your design process whether to go raised floor or not.